Many of the residents in our Stamford apartments are known for their hospitality toward guests. Here are some quick tips to help you get ready at the last minute when your guests are on their way. If your guests have traveled some distance for a visit, the first room they're likely to see is the kitchen for a glass of water or a snack. Clear off the counters, get any dirty dishes into the dishwasher, and give the countertops a quick scrub. Tidy up the bathroom next, if needed. Get any dirty laundry or towels into the hamper and out of sight. Make sure there's a fresh roll of toilet paper in the holder and set out a couple of extra rolls in plain sight. This will keep your guests from having to hunt through cabinets or closets for supplies. Light a scented candle in the bathroom for that extra welcoming feel! Your guests won't be offended if your apartment looks "lived in," so don't worry about making it obsessively clean. Pick up the clutter, dust the surfaces and run the vacuum cleaner if you have time. 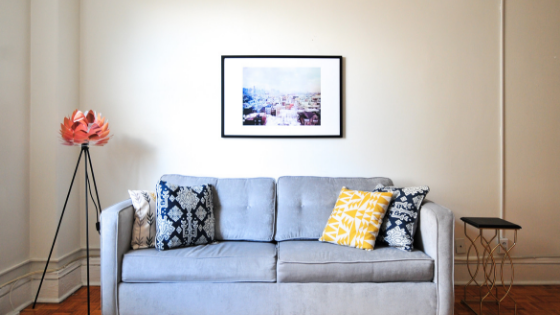 Follow these tips and you'll have your apartment tidied up in no time! If you have family members or friends who are looking at apartments in Stamford, we still have floor plans available at 75 Tresser. Ask them to call the office at 866-616-8401 to schedule a showing today!